Objective Lufthansa, Germany’s largest airline, is also the founding member of the Star Alliance network and offers its customers the biggest route network in the world. It had launched its new premium economy class cabin and we were tasked with conceptualising a digital campaign to educate consumers about this new cabin, as well as drive visitors to participate in on-ground activities. 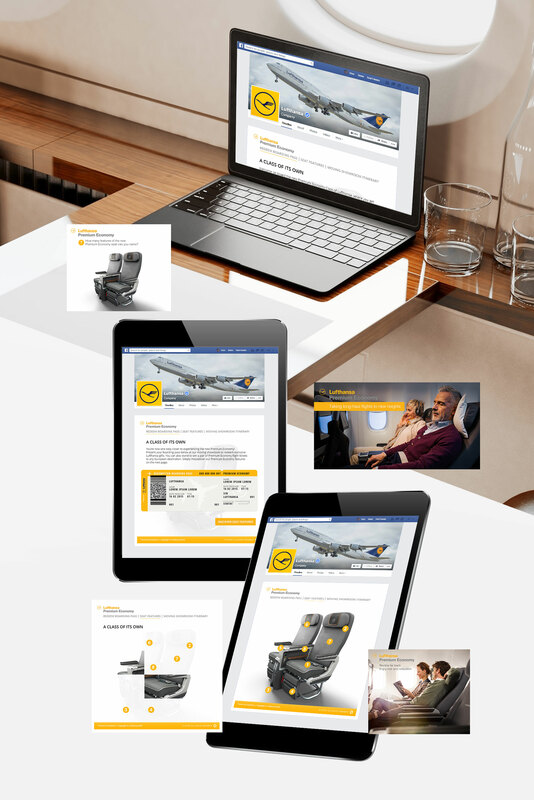 Solution We created a Facebook app to educate consumers about the seven unique selling points of this new premium economy class cabin. Upon completion of this activity, consumers would receive a ‘boarding pass’ for entry to our truck events held at various locations around Singapore. They would then be rewarded with Lufthansa premiums and discount coupons. This regional campaign was first launched in Singapore, before making its rounds at various locations in Asia.